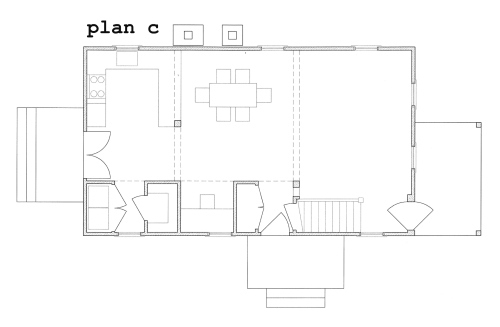 We started gutting on Monday but still are not sure what we should do with the first floor layout. Someone commented that the house looks big from the pictures- it's not! It is quite small. We want to make it feel open, light and modern while keeping the charming details of the old house. Right now there is a back entry off the kitchen that also goes in to a basement. The basement entry isn't really needed very often as there is not any usable space down there. So in all the plans we will have a hatch in the floor for the rare boiler servicing. There is a front entry but it is not by where the parking is so it probably would not be used much. We will leave it but want to have a side entry that is pleasent for every day use. 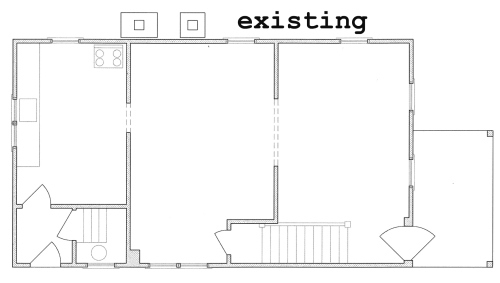 We are also trying to keep in mind that some day we might want to enlarge the house with a 3rd bedroom upstairs, and that it could go off to the same side as the new entry with an expansion on both floors. Plan a- we would remove the walls between the living and dining room to creat one large (ish) open space. 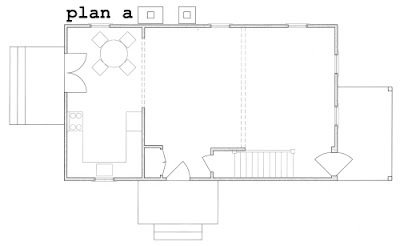 We would also open part of the kitchen wall to allow light and backyard views into the house, In this plan we would put in french doors from the kitchen with steps outside to bring you into the backyard. 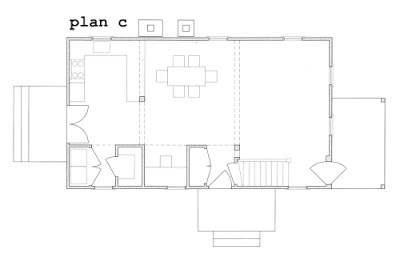 All three plans have a new side entry. 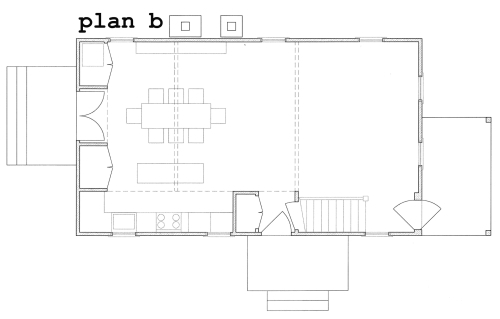 Plan b- in this plan we open up the whole first floor and move the kitchen to the side. We would still create a side door entry. In this scheme the french doors off the back are centered. The 2 closets are pantry and washer /dryer and the kitchen would have an island. 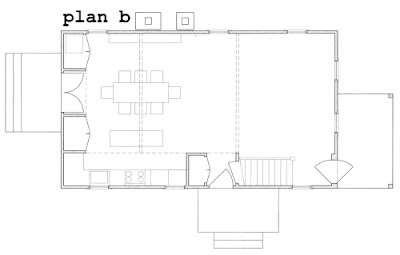 Plan c- the divider between the kitchen and dining area is a half wall with open shelves above to let light through but still keep some division between the spaces. The pantry and washer/dryer cabinets are moved to the side. So.............what do you think? They each have their pro's and con's, but we better decide quickly as it will be completly gutted soon. I would love to hear your thoughts as we can't quite decide which is our favorite.